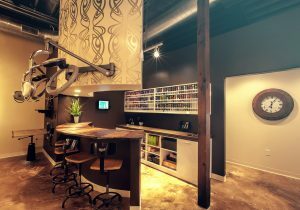 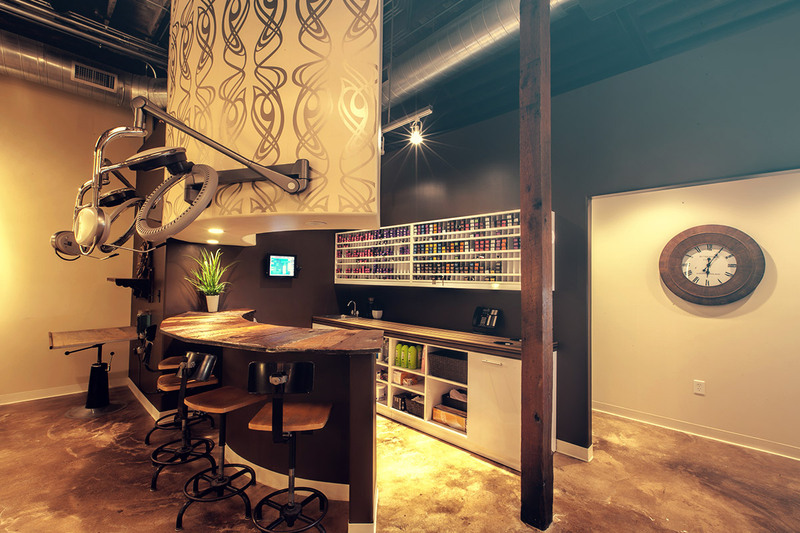 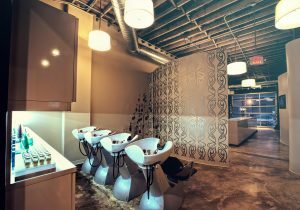 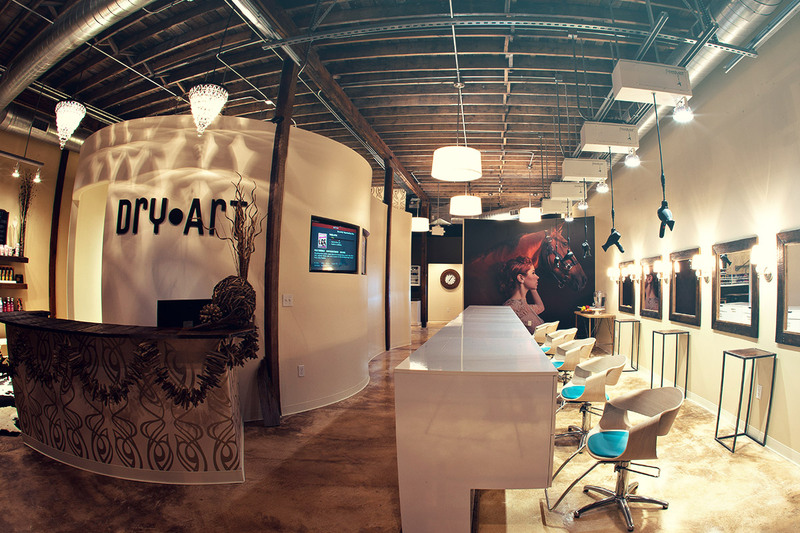 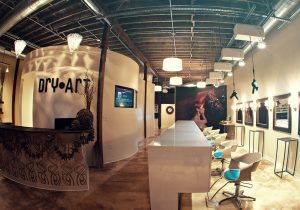 Vivacious and cool Dry Art Blow Dry bar exudes poise. 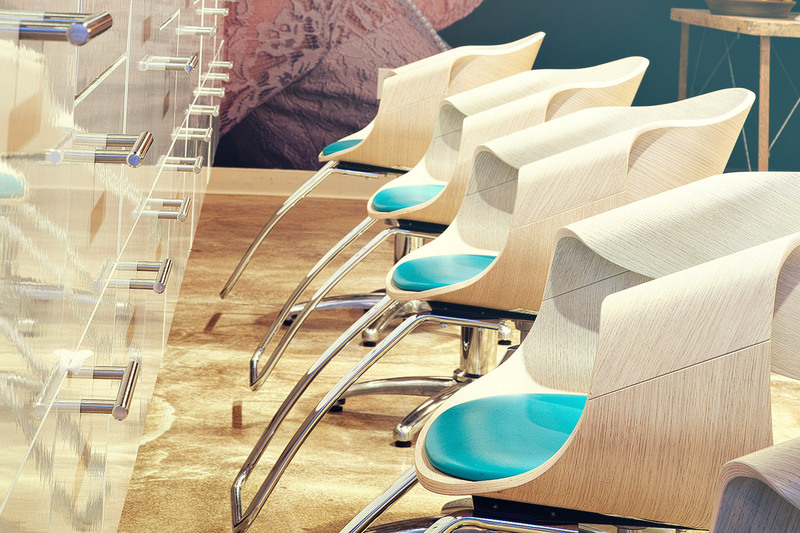 The Cool blue seats on the wood based Curved Art chairs provides an airy look to the dry bar. 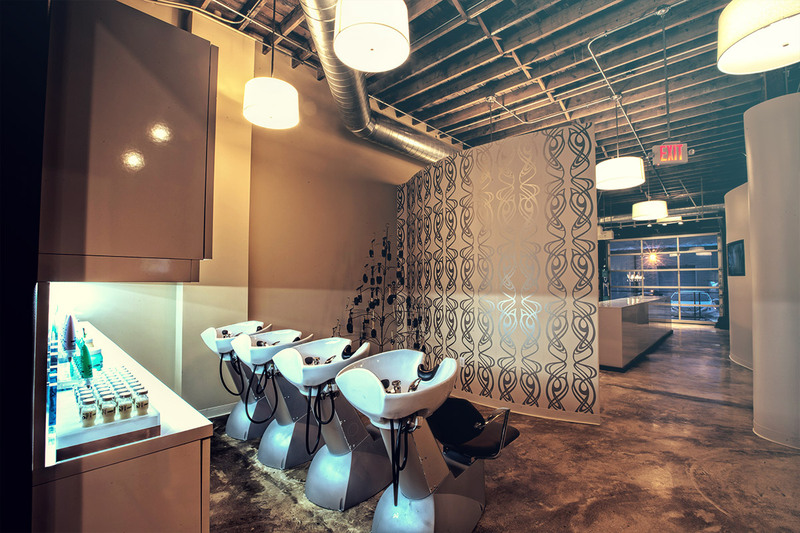 With a twist Dry Art places, the same chair in a cool blue and dark wood accent in their styling stations and finish off with sara shampoo units.